Two items. First, the latest survey showing the rise of the “nones,” the younger generation for whom formal religion is losing its attraction. 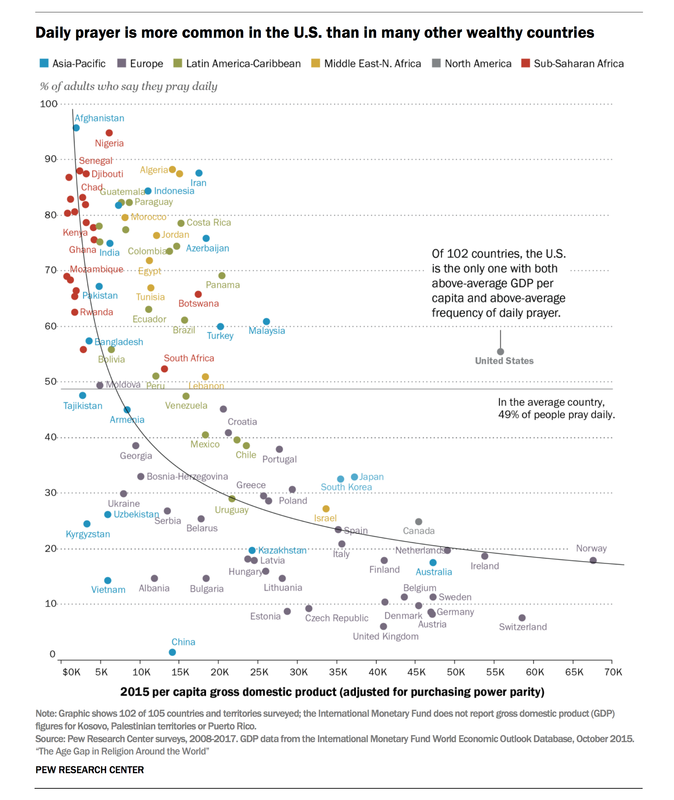 In Nearly Every Country, Young People Are Way Less Religious Than Adults. 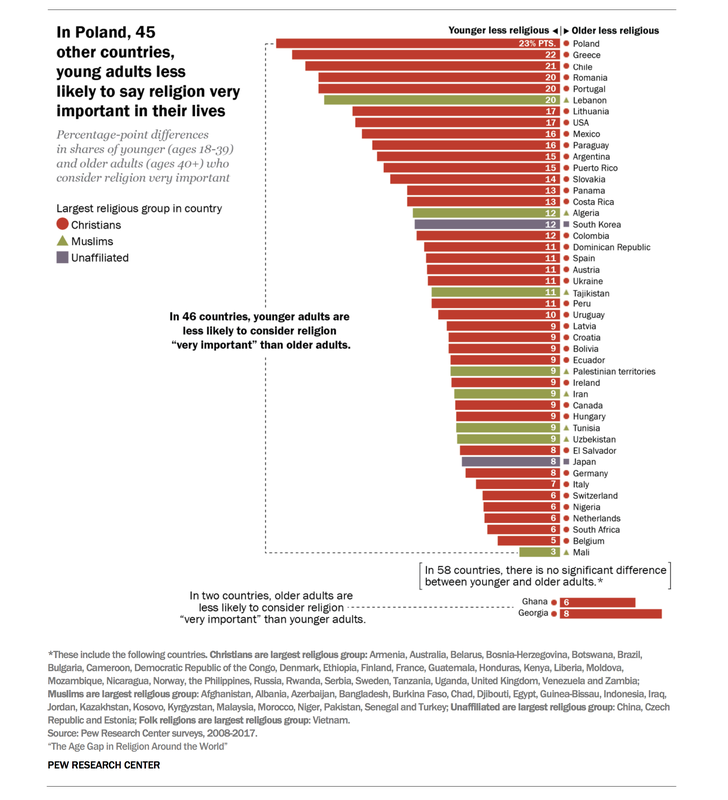 The second item, from this blog, concerns what the “nones” are doing instead. These nones tend to believe in the soul, divine energy, mystical realities, ghosts, fate and myriad other superstitions that traditionally fell under the umbrella of religion. They also tend to eschew formal social gatherings and regular group activities. Young nones, in other words, are adopting one of the least helpful aspects of organized religion (magical thinking) while abandoning one of the most beneficial (social bonding). Of course this is consistent with the understanding in recent decades of mental biases that predispose humans to perceive agency in non-living things; to imagine that objects have essences; to generalize from anecdotes; to think in terms of black and white; to underestimate the prevalence of coincidence. These biases will never go away, because they work well enough for purposes of human survival rather than accurate understanding of the real world. They can only be overcome by education about how the real, physical world actually works, as discovered by broad exposure to that world (rather than confinement to a particular ideology) and to the conclusions found through systematic, challenged and confirmed, investigation of that world (i.e. science). Without such education, the default of humanity is magical thinking.